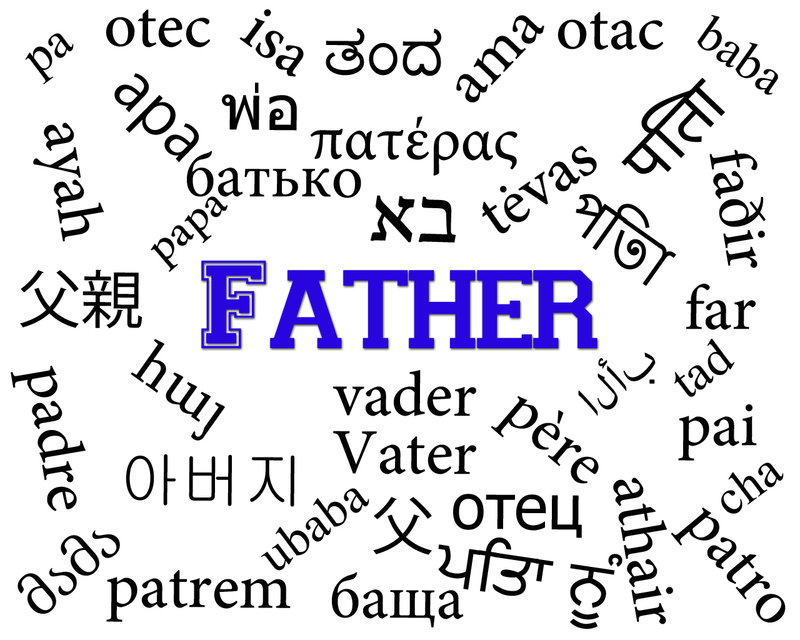 In the biblical text, the word for FATHER is ‏אָב‎ ʾāv – Phonetically: awb. You may know it as ABBA. It uses the first letter in the Hebrew alphabet ‏א‎, Aleph. This makes sense since the primary meaning of father in the text is to “begetter” (to procreate – to generate – to cause to exist) – the one that starts it. It is even used more than the pronoun “I.” There are only 7 verbs used more than it is. Like I said, a central theme in the text. and stick with his wife, and they are to be one flesh. “I am Adonai, the God of Avraham your [grand]father and the God of Yitz’chak. The land on which you are lying I will give to you and to your descendants. he was the ancestor of those who live in tents and have cattle. and I investigated the problems of those I didn’t know. lord of all his household and ruler over the whole land of Egypt. 11 Moreover, my father, look! Here in my hand you see the corner of your cloak. By the fact that I only cut off a piece of your cloak and didn’t kill you, you can see and understand that I have no plan to do harm or rebel, and that I haven’t sinned against you — even though you are seeking every chance you get to take my life. These are some of the meanings. If this sounds familiar, it should. We are to fear and honor our Father in heaven. by fearing, honoring, and respecting our earthly fathers. It is our proving ground. 6 “A son honors his father and a servant his master. But if I’m a father, where is the honor due me? says Adonai-Tzva’ot to you cohanim who despise my name. fathers will make their children know about your faithfulness. The father has a duty – a command given to him in the Torah of God . . . When aren’t you doing one of the 4 bullet points above during a day? When are you doing something besides getting up, going somewhere, sitting at home, or lying down? This is a perpetual command . . . This is a daily command . . . This is an hourly command . . .
Maybe that is why it is part of the MOST IMPORTANT COMMAND – part of the Sh’ma. What is it that the Father is to teach his children so thoroughly that it consumes the entire day? that is entrusted TO the earthly father . . .
BY the Heavenly Father . . .
to teach to the children . . .
the teaching of his most important command . . .
should we not give our earthly fathers the fear, honor, and respect that they deserve and that God demands? and all of the Fathers out there!